Online space for quick selection of office space for rent and purchase. 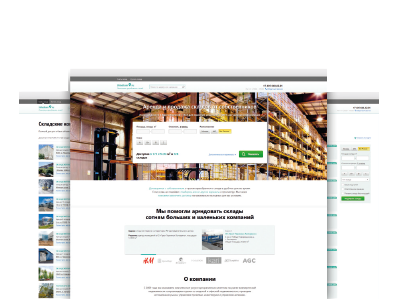 AMO.RU is an online commercial real estate expert and a platform where you choose the premises from 6300 proven options. We independently form the base of proposals and are distinguished by the completeness of information and its relevance. About 700 companies have already moved with us. The purpose of the service: to make an office search as easy and fast as buying a product in an online store. Teach the client to trust our information. Create a convenient tool for solving tasks in the search for office property. AmoLab. Online analytics for Owners. The analytical part of the project AMO.RU. 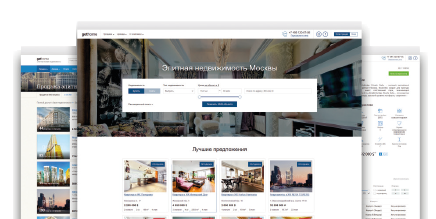 Service for search and selection of elite residential real estate in Russia and abroad . 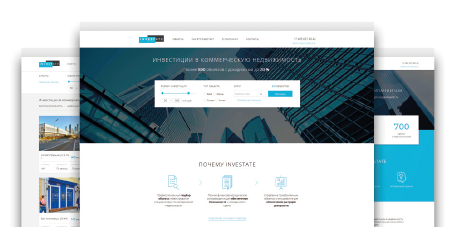 GetHome combines a personal approach to the implementation of client's tasks, an excellent knowledge of the elite residential real estate market, experience in structuring complex sales transactions and respecting confidentiality. An integrated approach to real estate investments. Investate is a convenient service that guarantees transparency and efficiency of investment real estate transactions. We offer an integrated approach from the selection of the investment object to the stated rate of return. Service for quick search of warehouse and industrial real estate. More than 3,200 warehouses in 90 cities of Russia. Full access to the information necessary to make a decision about buying and renting: prices, photos, description. Free and professional customer support at each stage of the transaction - a personal manager will help you select a warehouse, arrange a viewing, agree on commercial terms and answer questions.